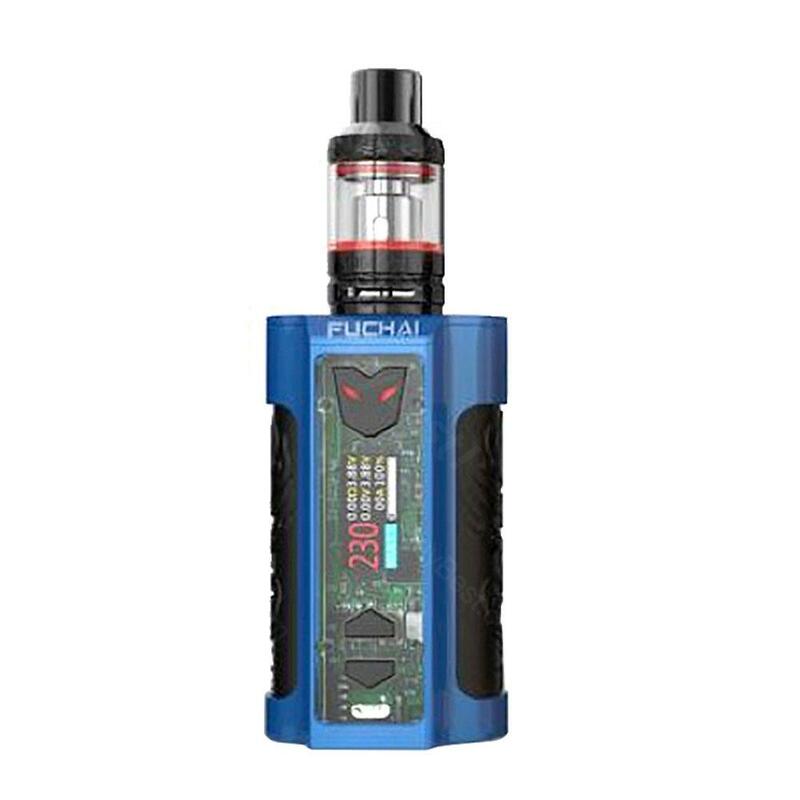 Sigelei Fuchai MT-V 220w TC Kit includes a Sigelei Fuchai MT-V 220W TC Box Mod and a ST3 Tank. Fuchai MT-V 220W TC Box Mod is designed for portability with an eye-catching sci-fi appearance. Powered by dual 18650 batteries, the box mod fires up to 220W and its 1.0-inch colored TFT display features a vibrant display of all the essential information. The ST3 Tank is capable of holding 2.8ml e-liquid and measures 24mm by 55mm and large e-juice reservoir which enables you to vape throughout the day. Sigelei Fuchai MT-V 220w TC Kit includes a Sigelei Fuchai MT-V 220W TC Box Mod and a ST3 Tank. Fuchai MT-V 220W TC Box Mod is designed for portability. Its sci-fi appearance is so eye-catching. Powered by dual 18650 batteries, the box mod fires up to 220W. Its 1.0-inch colored TFT display features a vibrant display of all the essential information. The ST3 Tank is capable of holding 2.8ml e-liquid and measures 24mm by 55mm with a solid base and large e-juice reservoir which will allow vapers to vape throughout the day. • Best compatible with MT-V MOD and SM Coils. Just received my blue fuchai mtv kit, cool appearance and good performance. The ST3 with sm series atomizer heads will provides premium flavor. I bought this for my girlfriend as a gift. It has colorful leds. I never vape over 100 watts, but I like the ability it could. Transparent cover and colorful leds are highlights. That's the reason I chose it.